Jay served in the Army for 6 years including 3 years with the 82nd Airborne Division. He graduated from Worsham College of Mortuary Science in September 2000. He completed his internship at Owens Funeral Home in 2001 and is now a Licensed Funeral Director. Jay is the fourth generation of the Owens family to work at the funeral home and is the great-grandson of Bill and Geneva (founders). Jay lives at our Blair-Owens Funeral Home location with his wife, Ashley and their daughter, Allison. He is a competitive bicyclist. Jay is a member of the American Legion and Rotary International Club, in Mahomet. He is also a third degree member of the Knights of Columbus. Julia "Jill" Yost joined her family at Owens Funeral Home in 2006. She received her Bachelor of Science degree in 1996 from Illinois State University. She completed her Master's Degree in Counseling Psychology in 1999 while living in Washington State. 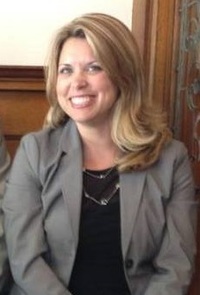 Julia became a Licensed Clinical Professional Counselor in Illinois in 2004. Julia graduated from Vincennes University in May 2010 with an Associate of Science degree and became a Licensed Funeral Director and Embalmer in 2011. Julia is the great-granddaughter of Bill and Geneva (founders). She lives in Mahomet with her 2 children, Nate and Cora. James D. Yost (Jim), 69, of Seymour died on Tuesday, July 22, 2014 at 2054 on the drop zone at the Airborne Demonstration Team Headquarters, Frederick, OK. There will be a visitation at Owens Funeral Home (101 N. Elm St, Champaign) on Wednesday, July 30 from 4-8 pm. The funeral service will be at Holy Cross Catholic Church (403 W. Clark, Champaign) on Thursday, July 31 at 10:00 am with Rev. Fr. Dennis Spohrer officiating. Interment will be at Woodlawn Cemetery, Urbana. Jim was born on March 19, 1945 at Fort Sill, OK to LTC (ret) DeVerne R. Yost and Doris Adele Koos Yost, the oldest of their three children. He was preceded in death by his father. In 1965, while on a cross-country/track scholarship at Murray State University (Murray, KY), Jim became enamored with a “pert and petite” coed from Champaign, Judy Owens. They were married 2 years later on August 26, 1967 at Holy Cross Catholic Church. Jim was in ROTC in college and upon graduation, he earned Regular Army Commision and began his career as an Infantry Officer. A proud Army veteran, Jim’s military career included serving with the 1st Infantry Division, 82nd Airborne Division in Vietnam (bringing the colors home for the Brigade) and 10th Special Forces Group. As an Army brat, Jim often declared that he had no hometown but after he completed 8 years of service to his country, Jim and Judy chose to move back to Champaign to raise their children. 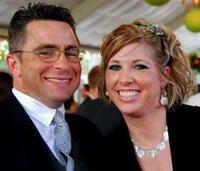 Together they have 2 children; James D. Yost II “Jay” and his wife, Ashley and Julia “Jill” Yost, both of Mahomet. 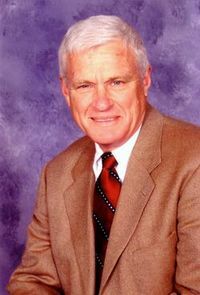 In 1978, Jim joined the Owens family business as a funeral director at Owens Funeral Home. He worked tirelessly at this profession no matter how many weekends and holidays were sacrificed. Jim ran the business with integrity and honor, treating every person with the respect they deserved because he believed “every person was entitled to a decent burial”. Jim approached everything in life with unparalleled passion and vigor. Always a gifted runner, he distinguished himself his Senior Year of High School (1964) as the double state champion of Kentucky, winning both the mile and half-mile. After his collegiate running career concluded, he saw the 26.2 miles of the Marathon as his next major goal. He ran many during those years but his personal best was 2 hours and 38 minutes. Never one to back down from a challenge, Jim moved upward to Ultra-Marathons. His proudest accomplishments were competing in a 3 day (150 mile) race across Illinois and a 24 hour race in which he totaled 135 miles around a track. Jim also organized and led team relays including River to River and Hood to Coast, both for over 10 years. In his later years, Jim embraced cycling. He was proud to have participated in Paris-Brest-Paris (a 750 mile event in France) in 2011 with his son and his brother. A self-proclaimed Francophile, Jim greatly enjoyed guiding Americans around France and introducing the French lifestyle to his family and friends. Jim was particularly fond of the Normandy region due to his “unhealthy fascination with World War II”. Jim and Judy donated numerous trips to France to benefit local charities including Mahomet Area Youth Club and Presence Covenant Medical Center. Jim was a member of the Alpha Tau Omega fraternity. He was a longtime member of the American Legion Post 24 and the VFW Post 5520. Also The 82nd Airborne Division Association, The Special Forces Association, Champaign West Rotary Club, Porsche Club of America, Military Vehicle Preservation Association, Porsche 356 Registry, Second Wind Running Club and an associate member of the Wild Card Cycling Team, just to name a few. Jim’s grandchildren include Aaron Yost of Rantoul, Cassie Yost of Mahomet, Nathaniel and Cora Strigotte of Mahomet and Allison Yost of Mahomet. He was also a great grandfather to Marcelline Yost of Rantoul. His grandchildren saw him as invincible and bigger than life. They say that he was the smartest man they ever would know and enjoyed his enthusiastic storytelling. He supported his family through every endeavor no matter how silly, small or strange. Other survivors include his mother, Doris Yost of Worchester, MA; his sister, Dr. Janice Yost of Worchester, MA and his brother, Rick (Cathy) Yost and their daughter, Shaina of Palm City, FL; 2 sister-in-laws, Kathy (Bob) Keller and Terry (Bruce) Gocking and a brother-in-law, Jeff (Vie) Owens, along with 3 nieces and 1 nephew. Jim firmly believed in the mission of the Airborne Demonstration Team (ADT), to honor and serve the memory of the men that fought and died to preserve America’s freedom during World War II. The family asks that donations be made to ADT, P.O. Box 67, Frederick, OK, 73542. 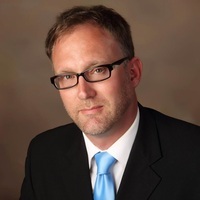 Stephen is a Certified Funeral Service Practitioner (CFSP). He graduated from both Worsham College of Mortuary Science in 2001 and Fountain National Academy of Professional Embalming Skills in 2015. In his spare time, he is an active member of Kiwanis International in Champaign, plays recreational soccer, coordinates and volunteers for the Lutheran Disaster Response Team, and is a student at Eastern Illinois University.